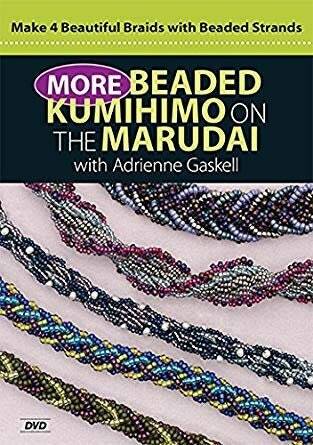 Beaded braids, fast and easy with Adrienne Gaskell. Kumihimo, the Japanese art of braiding, typically uses cords, but replace the cords with strands of beads and the results are even more spectacular! Using a braiding stand called the marudai, Adrienne Gaskell shares her secrets of success, step by step.